Spiced Right Smokehouse BBQ serves amazing food and is located at 635 Atlanta Street in Roswell. Find out all about it here: www.spicedright.com. It is owned by Dunwoody resident Rob Holloway. Rob is graciously supporting WildCat 5e for the second year in a row. We are pre-selling Spiced Right dinners and will deliver them directly to your home on Thursday, April 12. Orders must be received and paid for by Monday, April 9, 2018. Payment can be made by cash, check, Venmo, or PayPal. Let us know what questions you have or what additional information you need below. You can also email hello@wildcat5e.com. We appreciate your support of WildCat 5e. You can learn more about us at www.wildcat5e.com. DHS currently has 1958 students and next year projected to have 2042 which does not include private school students who will be moving over to DHS. Principal Cole is currently working on budget items and will be getting 4 ‐ 5 new teachers for next year. 6:00 p.m. - Watch Live? Update From DeKalb County Commissioner Nancy Jester. Administration of Oath of Office to Officers Nathan Daley, Theresa Hernandez, and Slade Mehas. FIRST READ: Ordinance to amend Chapter 4 - Wine Brokers. Resolution in Opposition to HB 876. FIRST READ: Ordinance to Adopt City Budgetary Policies. Resolution to Amend the 2017 Operating and Capital Budgets. Resolution to Amend the 2018 Operating and Capital Budgets. SECOND READ: RZ17-01: David C. Kirk of Troutman Sanders LLP, attorney for the owner, on behalf of Grubb Properties, owner of a portion of 41, 47, 53 Perimeter Center East, Dunwoody, GA 30346, seeks to rezone the property currently zoned O-I (Office-Institution) District to a PC-2 (Perimeter Center) District also seeks a special land use permit to: A) Section 27-104(f)(2) to permit a Development of Regional Impact; B) Section 27-104-6 to allow multi-unit residential, rental; and C) Section 27-105b to modify the build-to-zone of a general building. Scaled back in phases - now requesting pase 1 with 198 units in a high-rise building that will start as apartments and all will then be converted to condos within 5 years with 600K in possible penalties to education (I prefer the Dunwoody Community Association (Wildcat Fund) vs giving case to the DeKalb County School System), if units are not converted. There is also a 30 day deferral to clarify latest proposal. SECOND READ: RZ 18-01: David C. Kirk of Troutman Sanders LLP, attorney for the owner, on behalf of Deneb Holdings LLC, owner of 4685 Chamblee-Dunwoody Road, Dunwoody, GA, 30338 (Delido Apartments), seeks to rezone the property from its current RM-100 (Multi-dwelling Residential-100) District zoning classification to a RM-75 (Multi-dwelling Residential-75) District. Tuesday night my oldest son Riley will officially be recognized by Boy Scout Troop 477 out of Kingswood United Methodist Church for reaching the level of Eagle Scout. If you have never observed an Eagle Court of Honor, the ceremony is open to the community at starts at 7:30 pm. Light refreshments to follow. I couldn't be prouder of my son, besides obtaining the rank of Eagle and being a leader within his troop, he also played football for St. Pius X High School where he served as a Captain and he is very active in the All Saints Catholic Church Youth Ministry Program. His "Eagle Scout Project" was also special to me personally because he refreshed the Environmental Classroom in Brook Run Park (near the garden) dedicated to my friend Bobbi Sedam by installing additional benches for adult / teacher seating, waterproofing the existing structures and re-mulching the area. Riley's experience with Boy Scouts at Troop 477 was amazing and I would recommend the Troop to anyone interested in Boy Scouts. A special thanks go out to the many leaders of the troop, especially Scoutmasters Bob Melton & Barry Deutsch for their care, guidance and leadership over the many young men in the troop. Dunwoody is a better community because of the many scouting programs that thrive in our city. Thank you to all the leaders everywhere. 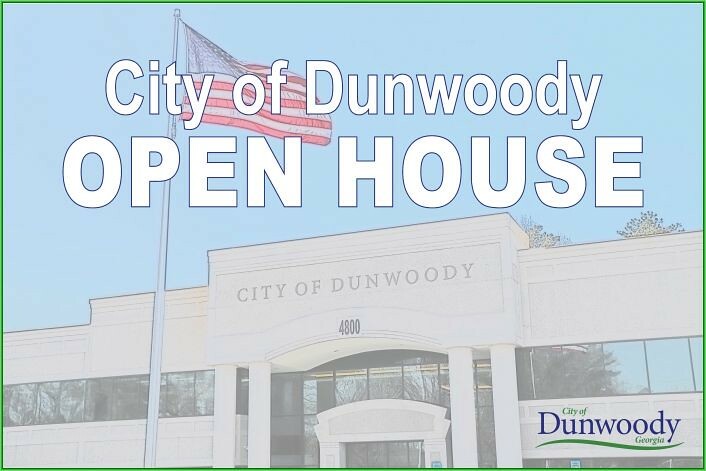 The city invites community members interested in taking a tour of the new Dunwoody City Hall building to attend the City Hall Open House event taking place Thursday, March 15th. Members of the community are invited to drop by the new City Hall building (located at 4800 Ashford Dunwoody Road, Dunwoody, Georgia 30338) anytime between 4:00 p.m. and 8:00 p.m. on Thursday March 15th. Tour participants of all ages may gather in the large foyer area at the front of the building to begin guided tours of the facility and get an up-close look at the new home of Dunwoody city government, the Police Department and the Municipal Court/Council Chambers. Dunwoody Junior Wildcats Football Program starting this year. Full Details - handout from recent meeting. 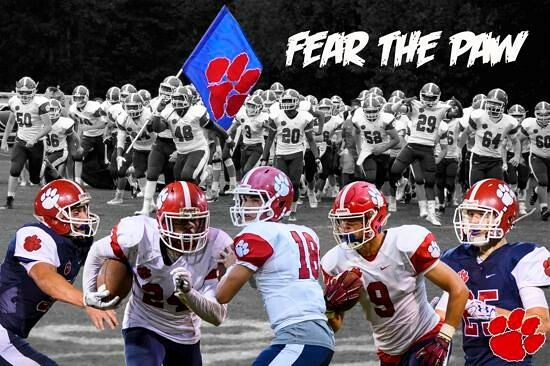 The Dunwoody Junior Wildcat Football program is available for rising 6th – 8th-grade athletes living in the Dunwoody High School District who want to be a part of the Wildcat family sooner than later. Our focus is on the development and growth of football players who will ultimately play for the high school. Varsity Head Coach Mike Nash and his staff will select the coaches for each grade and ensure they are teaching their principles to create consistency from 6th grade through 12th. Registration will cover shoulder pads, helmets, and game jerseys. Practices will take place Monday, Tuesday & Thursday nights with games being played on Saturday. The team will be part of the Georgia Middle School Athletic Association and will be played under their tight rules limiting contact. When you call 911 for a medical emergency, you expect paramedics to rush to save your life. In Dunwoody, city councilman Terry Nall says some crews are taking their sweet time. “It’s very concerning, the first five minutes of any medical emergency. That is significant...the difference between life and death,” said Nall. 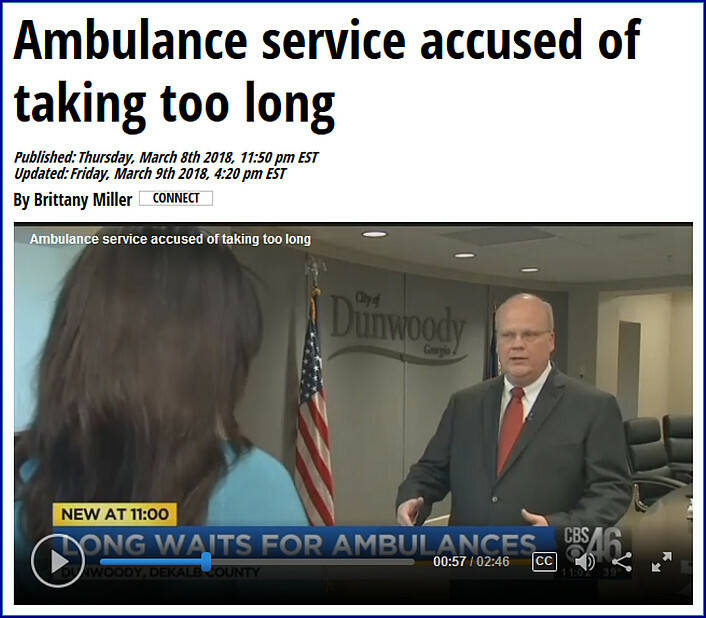 Nall has been tracking American Medical response times since they first signed a contract with DeKalb County in 2013, making them the only ambulance service in the county. He says the agreement guarantees the national standard, which is eight minutes, 59 seconds on 90 percent of the calls. Nall says AMR has violated that contract, showing up 14 minutes, 8 seconds for most calls in Dunwoody. And throughout DeKalb County, it takes them almost 15 minutes to get to a scene. FIRST READ: RZ 18-01: David C. Kirk of Troutman Sanders LLP, attorney for the owner, on behalf of Deneb Holdings LLC, owner of 4685 Chamblee-Dunwoody Road, Dunwoody, GA, 30338 (Delido Apartments), seeks to rezone the property from its current RM-100 (Multi-dwelling Residential-100) District zoning classification to a RM-75 (Multi-dwelling Residential-75) District. The tax parcel number for the site is 18 352 04 004. SECOND READ: Amendment to Ordinance to Adopt Fingerprint-Based Background Check Process. SECOND READ: Permanent Easement Agreement for Georgia Power Company at Dunwoody Nature Center. Approval of an Annual Street Resurfacing Contract with Blount Construction. Resolution Appointing a Member to Serve on the Dunwoody Development Authority. Review and Approval of Encroachment Agreement for the Twelve24 Office Building to be Constructed on Hammond Drive on the South West Corner of Perimeter Mall. Review and Approval of TSW Contact Amendment for PIB/Winters Chapel Small Area Study. Dunwoody DHS Dads receive written response from DeKalb School Superintendent R. Stephen Green on questions. This morning the DHS Dads group had a meeting with DeKalb School Superintendent R. Stephen Green, prior to the meeting, the group aggregated questions/comments and submitted to them Dr. Green. As the meeting may have been cut a little short because of the water emergency, Dr. Green provided written replies to their inquiries and below are his responses as it was provided to me from the group. I thought the back and forth conversation was worth sharing and thank you Dr. Green for your transparency on these issues. Q. Can Kingsley field be improved? It slopes toward the school and the water flow is causing drainage problems and erosion to trees and sidewalks. Also, can Chestnut field be improved? Could both fields be used and maintained by the city? A. We can approach the City of Dunwoody to see if they would like to enter into an intergovernmental agreement for the upgrade and maintenance of the Chestnut ES and Kingsley ES fields. This would be similar to the current agreement we have with the City for the football field and track at Peachtree MS, where the City maintains the school district-owned facility. • We have $17.7 million 26-classroom addition planned for Dunwoody HS to be completed by fall 2022. A Construction Advisory Committee (CAC), a sub-committee of the school council (now Parent Advisory Council) will collaborate with the architect of record in what improvements could be included as part of the scope of work within the Board-approved budget. Q. Status update on the renovation of the school. • What is the plan for the growing school population at DHS? • How DHS to address the growing student population until the expansion is ready in 2021? • We will have more portable classrooms until the addition is complete in fall of 2022. This summer, we will bring out one more quad (4 classrooms) with restrooms. We are currently working with the architect of record to ensure the placement of the portable classrooms will fit relative to the possible location of the proposed addition. Q. What about parking for students, teachers and visitors? A. We will add more parking as part of the classroom expansion. Q. What is DCSDs’ intention for the land owned on Chamblee-Dunwoody Rd. where the former Middle School was torn down? Couldn't this be leveraged to educate students in any way? Unless there’s a school building coming to relieve student crowding, why isn’t the land sold and the money put back into serving existing students? DCSD has held this land for approximately 15 years without our students benefiting in any way. • The land is valuable and could bring in more revenue to the school district. We have looked at possible options for this, including support/office needs for the school district. We are still reviewing this and the Board could make a decision to sell the land. • Staffing for the school – currently two staff members (1 is brand new this year) handle all of the 504 and IEP processing and testing. • Each school is staffed with counselors, social workers and psychologists and other support persons that assist with the Section 504 process and special education staff (teachers and case managers) and support (LTSE) that ensure goals listed on the IEP's of students are met. • Who specifically made the decision last August to require DCS teachers to attend a day long program at the Infinite Energy Center in fundamentally an “employee rally”? • The Superintendent and the Board of Education approved the Opening of Schools Convocation on August 4, 2017. • How was funding for that activity reached when DCS can’t seem to fund some of the very basic necessities? For example, we couldn’t get DCS to pay for buses to transport students to their Football Camp and private donors (via the Dunwoody Gridiron Club) had to pay for the transportation. • Each division/department is allocated a budget for July 1 – June 30. The funding for the event was paid for through the Communications Division’s budget. • Was allocating money for the Infinite Energy Center the best use of funds? • An Opening Schools Convocation has not been held in the district for 10 years. The event was designed as a professional development experience in which all staff (new and experienced, north and south, east and west) had the opportunity to engage with each other. The event was a direct response to an expressed desire to have us come together – to create a culture of unity and togetherness as One Team, One Voice, One DeKalb. It was also an opportunity for all staff to hear first-hand the depth and breadth of our accomplishments and to hear directly from the superintendent regarding the charge: the next steps we will be taking toward the fulfillment of our vision and mission as a district focused on deep teach and learning. It was also a wonderful opportunity to see our talented students perform on stage. Q. The high jump mat is completely unsafe and unusable. This is a major safety concern for our kids. A. The Athletics Department provides equipment for the regional stadiums. Teams are able to visit those locations for practice at any time. Q. There is no Booster Club for the Track Team and the majority of the kids who participate in track can barely afford the minimal dues the coach’s collect to cover the basic expenses of meets, coach’s salary and uniforms. • The coach’s salary comes from the district allocated budget. Uniforms are provided by the district as well on a three year rotational cycle. Collected fees should not be used for these purposes. Q. How can we best reach our student sub-groups? For example, DHS has a significant population of Latin American students and there is a language barrier. A. The English Learner Department works closely with local school staff to provide training to meet the needs of all speakers of languages other than English. Training is provided for teachers and administrators. Parents are also supported through the Title III parent centers. Q. Can we have a paid liaison who is fluent in Spanish to help communicate with these students and parents? A. General Budget considerations are being made for the increase of support for students and parents that speak a primary home language other than English. • What specific, incremental security measures is Dr. Green intending to put in place to heighten school security, if any? • Increases are being made in the general budget to increase the number of school resource officers across the district. A pilot for the installation of metal detectors will be launched. We are also working to enhance security cameras in schools and have added vestibules to newer construction projects. The K-9 unit (2 trained in narcotics and explosives detection) have been added to the Public Safety unit. Q. Those that are controlled by the DeKalb County Schools vs. the State or Federal Government? A. The DeKalb County School Police work closely with other local jurisdictions to ensure the safety of students and staff on a daily basis. Q. Capacity and student overpopulation issues at Dunwoody High School. • The Board approved $17.7 million under E-SPLOST V to construct a 26-classroom addition at Dunwoody HS to address this issue. The new addition is slated to be completed by fall 2022. In the interim, the Operations Division will be installing additional quad units (4 classrooms per unit) with restrooms to temporarily address overcrowding at the school. Q. One third of our students are on free/reduced lunch. Our cafeteria lines are too long and some students are not able/willing to wait in line to eat. For some of the kids, this is their best meal of the day. How can you help us ensure that our kids have access to lunch and do not have to go hungry throughout the school day? As a bonus, it would be nice if the quality of the food was higher. • The School Nutrition Coordinator, Maureen Pickett and Connie Walker, Interim Executive Director of School Nutrition, met with the student council lead, Ebony Greene and student members at Dunwoody HS during the fall 2017. A survey and a taste test was conducted with the student council to identify student preferences and menu selections. We are in the process of obtaining equipment to add a Grab and Go serving line in the cafeteria. The next step to meet with DCSD technicians to determine the electrical voltage needs in the cafeteria. This will increase the student participation and flow the traffic during meal service. The target for completion is April, 2018. • Took 8 weeks to get the Tennis court lights to come on in time to be useful for home matches. • Can we get local control over those facilities to allow the coaches to turn on and off as needed? • The Division of Operations will assess the lighting concerns to determine if the automatic timers or photocell sensors on the Tennis court lights need to be replaced or recalibrated. If so, our Region 1 Facilities Manager will work with GA Power and our in-house electricians to do so as soon as possible.